Voice is growing rapidly as a new user interface through digital assistants such as Amazon Alexa, Apple Siri, and Google Assistant. Its reach is phenomenal, with more than half of the population in mature markets using voice assistance on a regular basis. As content and information access moves to voice-based interfaces, monetisation becomes an issue. Google loses money every time someone replaces a standard Google web search with a Google Assistant voice request on a smart speaker. How to generate revenues from voice will be one of most existential questions for top internet and tech companies for the next decade. Here are a few solutions in the meantime. Voice shopping. The ability to shop using your voice on smart speakers or other capable devices has always been a major opportunity forAmazon and Google. In October 2018 Google made the sale of digital goods including recurring subscriptions available through Google Assistant via Google Play, including carrier billing. Amazon opened up in-skill purchases in May 2018. 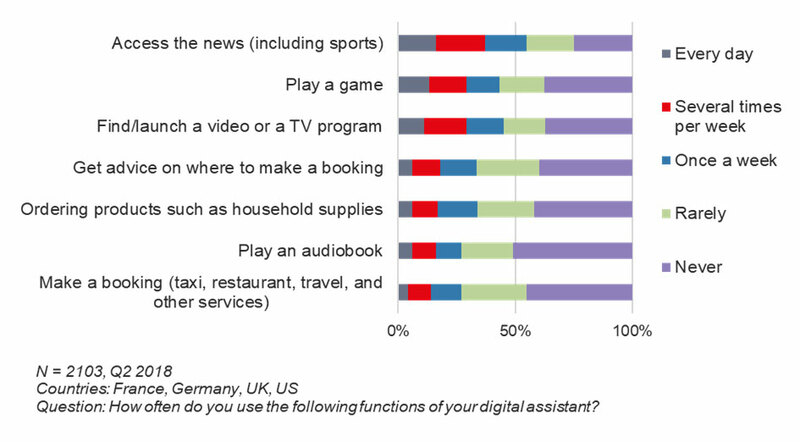 Although not a top activity by far, ordering products such as household supplies is used by a third of digital assistants on a weekly basis (see Figure 1). Close by displays. Smart displays such as the Echo Show, Facebook Portal, and Google Home Hub are, simply put, smart speakers with a display. A close native integration with digital assistants means that responses from a voice query can use the screen to display relevant information – a clear path for display and search advertising. TV sets, set-top boxes, and media streamers compatible with Amazon Alexa and Google Assistant also enable visual responses to be displayed on the TV screen. Alexa Smart Screen and TV Device SDK and Alexa Presentation Language (APL) are great tools to develop skills that make the most of this opportunity. Customised skills. Those are equivalent to voice-command shortcuts where users do not need to call a skill name before performing a voice request. The change in user experience is significant and can be used as a major competitive advantage for skill developers. Those key phrases can be sold by digital assistant owners, Amazon and Google, to the highest bidder, assuming they make sense to users. Brand engagement. Voice experiences are becoming increasingly important for brands that are beginning to allocate marketing budgets to create and experiment with voice assistants. One key aspect for everyone to consider is this: if your brand had a voice, what would it be like? Google has been very proactive by releasing a series of blog posts on voice on its marketing-oriented “Think with Google” resource and information portal. Customer trust and acceptance is very important in a voice-first experience and monetisation attempts should be considered very carefully. Voice will certainly capture some revenues from existing consumer spending, but the real opportunity resides in its ability to generate some additional growth. 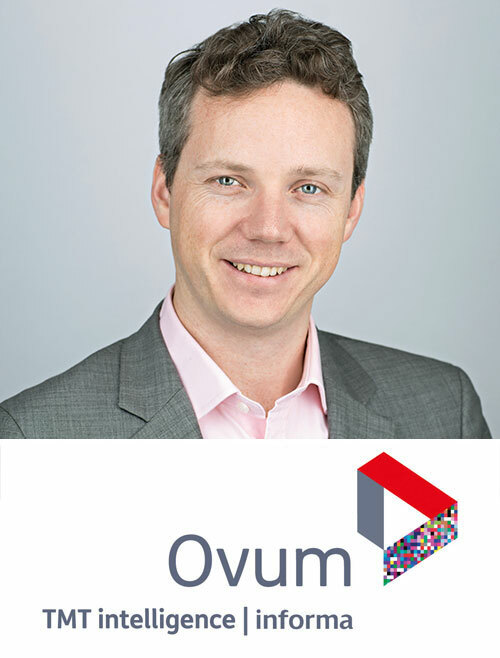 Ronan de Renesse is practice leader, consumer technology and media & entertainment at Ovum.